Often geocaching is done by driving in your car to the cache closest to your location. 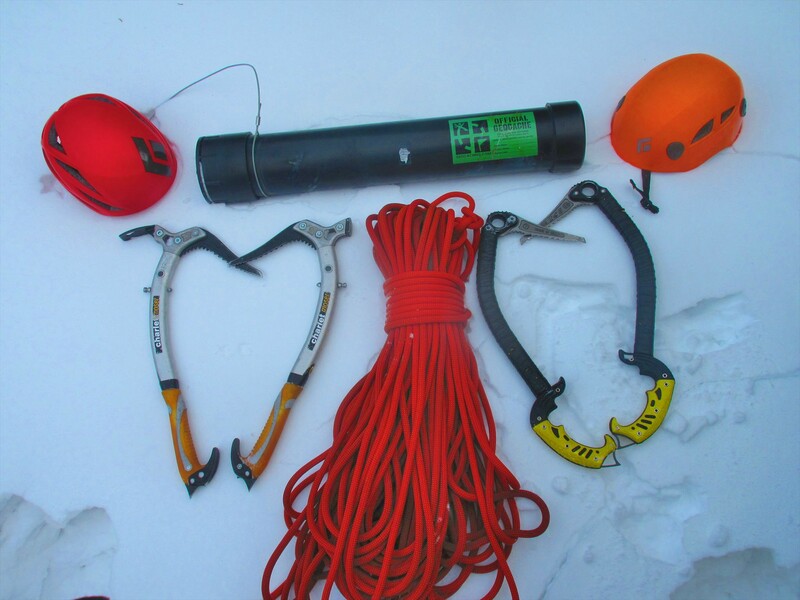 But sometimes you have to do some preparation, research, and gather the right equipment. Our Geocache of the Week falls into the latter category. 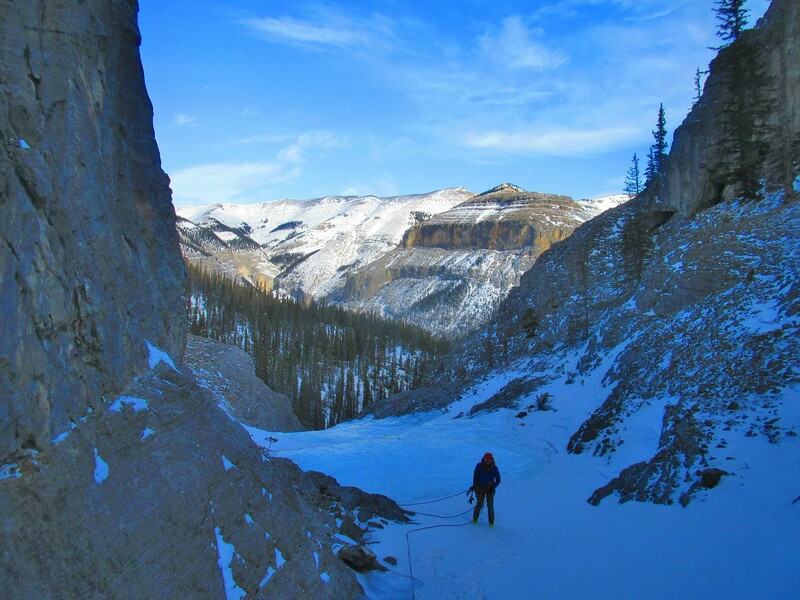 Sky House is reached by undertaking a twelve pitch ice climb on the famous House of Sky Climb located in the Ghost River Wilderness Area in Alberta, Canada. While it is possible to hike to the cache during the summer, it is not recommended, as the trail is poorly marked and it is very easy to get lost. The best time to approach it is during the winter. It is recommended that you use a 4×4 to drive to the cache since the Ghost is known for its treacherous weather conditions. Once you get to the parking lot, it is a short hike of 2.2 km (1.4 mi) to get to the starting point. 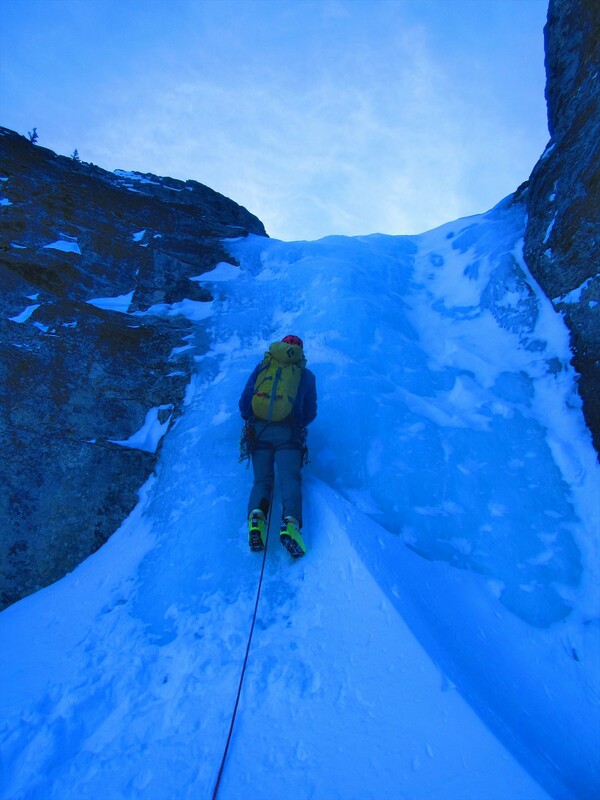 The climb up is considered easy by ice climbing standards but should only be attempted by experienced climbers. The elevation is about 270 m (886 ft) and typically takes one to three hours to reach. You are high in the Canadian Rockies at treeline so dress appropriately and bring the right gear. The cache itself is a large black pipe and rumored to be able to withstand the next ice age. It comes with a handy TOTT in case the cap freezes to the container. There is also a handy fold-out seat for you to sit down and enjoy the scenery — a welcome moment of relaxation after twelve great pitches of ice climbing. What was the most difficult cache you have found?